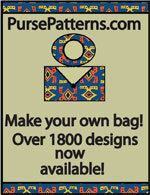 The Amy Tote Bag Pattern is an easy to make tote handbag in PDF with pleats and double handles by Jenna Lou Designs. 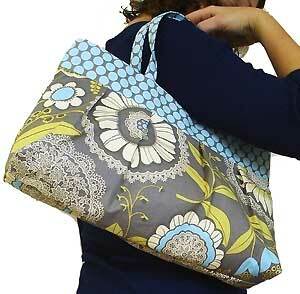 The Amy Tote Bag Pattern is a very useful handbag with lots of room for every thing you need to carry! 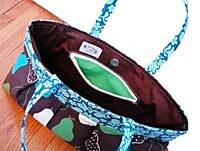 There are instructions for pleats on the front of the tote and inside is an organizational zippered pocket. Finished size is 10"H x 16"W x 3"D with a handle drop of 7".. 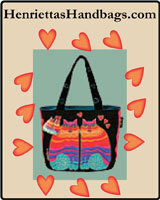 This PDF tote bag pattern has a total of 8 pages of which there is 1 photo page, 5 pages of instructions, illustrations, and photos, and 2 pages of pattern pieces.